Brandon Flowers has been telling Radio X about the time he met his musical hero… in circumstances that were both amazing and embarrassing. He told Gordon Smart about the time he bumped into New Order frontman Bernard Sumner… at a urinal. 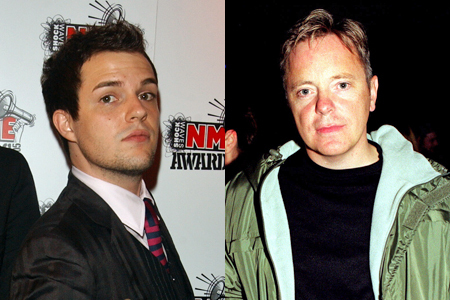 The Killers were hugely influenced by the Manchester legends, taking their name from a New Order video and covering the classic song Shadowplay by their predecessors Joy Division. Brandon remembers the occasion, vividly: “It was our first time going to the NME Awards, and we were starstruck. It was an incredible experience for us. We were just happy to be there. You can hear more backstage chat and amazing anecdotes from Gordon Smart every weekday at 7pm on Radio X and every Sunday at 1pm. Or get the best bits now by listening to the podcast.